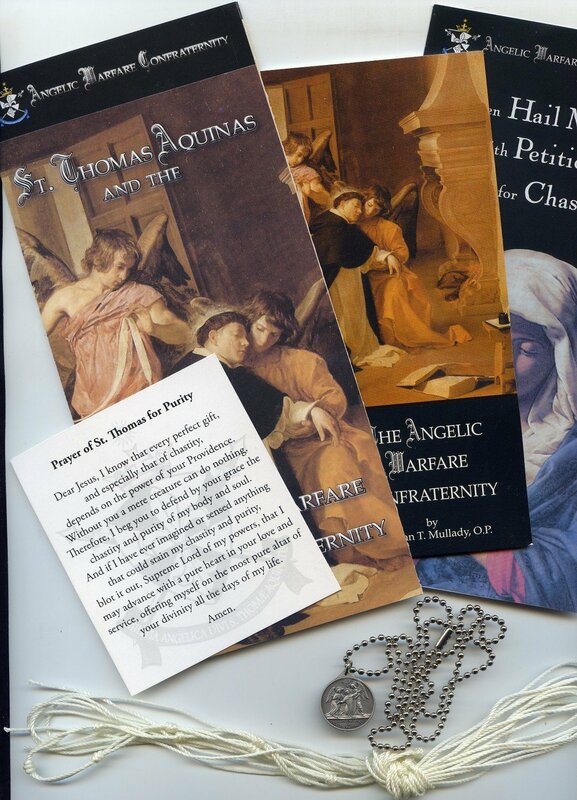 The Angelic Warfare Confraternity is supernatural brotherhood or fellowship of men and women bound to one another in love and dedicated to pursuing and promoting chastity together under the powerful patronage St. Thomas Aquinas and the Blessed Virgin Mary. -from the Confratenity website. Prayer cards for Purity and for Healing & Deliverance. The Cord of St. Thomas and a Medal of the Confraternity (either one can be worn by members).